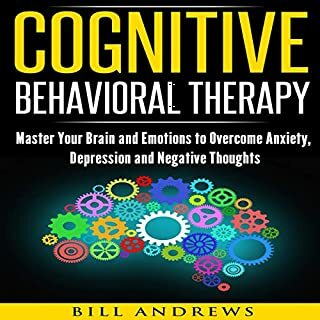 Discover key Cognitive Behavioral Therapy principles that will enable you to become a happier, more fulfilled, more effective, and more content person. 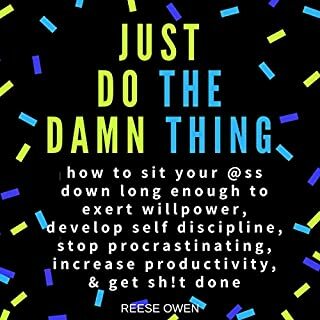 This guide teaches simple clear techniques that will enable you to start living life to the fullest. I liked it, in this book I learned how to cope. Got something good in store for me. 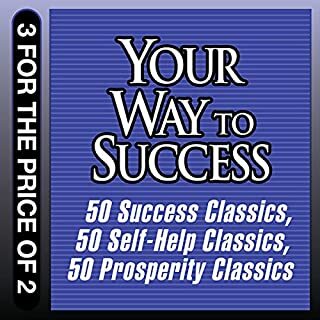 These unabridged guides to the literature of prosperity and motivation survey the all-time classics, giving you their key ideas, insights, and applications - everything you need to know to start benefiting from these legendary works. Discover the books that have already enriched millions. This book is absolute GOLD! Is stress, anxiety, or panic ruining your life? Are you tired of failing to recover? Are those "quick fix" approaches failing to deliver results? That may well be because you're much more like a garden than you are an electrical appliance! Healing anxiety is an organic process, not just nuts and bolts! Anxiety specialist and therapist John Crawford, the author, learned this the hard way when he experienced a terrifying descent into severe anxiety and depression during his 20s and spent many fruitless years seeking the elusive "quick fix" solution before finally meeting a gifted therapist who guided him skillfully to understand what really makes a full recovery possible! Now, almost 25 years later, with that understanding fully cemented, John has spent the last 13 years of his life working as a professional therapist, specializing in the treatment of anxiety disorders. 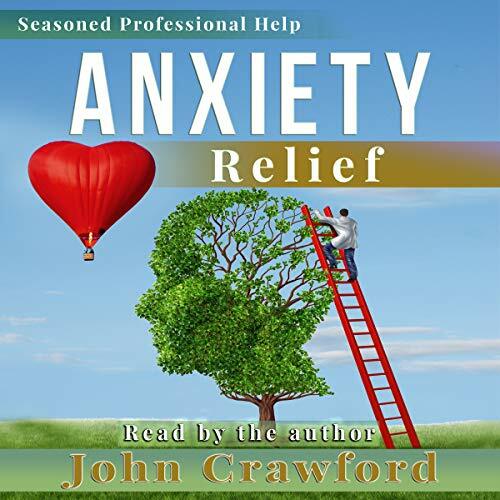 Anxiety Relief is a warm, compassionate, and expert audiobook to help anxious, panicky, or stressed people, written from both sides of the therapeutic couch! If you're suffering and you don't know how to gain relief from your anxiety, then this audiobook is for you. It's wide in scope but laser-focused on ensuring you get results! The tools and understanding presented here are the same proven tools John has been using to help anxious people successfully recover for many years. How to create the correct mind-set for full and permanent recovery from (even severe) anxiety. How to fully understand the brain’s evolutionary role in creating stress, anxiety, depression, panic, and negative thinking, and how to use that understanding to take back control. Why self-love, the right resources, and appropriate skills are essential components for recovery when anxiety attacks! Why just throwing random “techniques” at an anxiety problem won't resolve the core of the problem and what to do instead. How compassionate connection with your most vulnerable self will turbocharge your recovery time and offer long-term stability, and how to do it! Why your subconscious mind keeps you locked in anxiety, and how to work with that mind to stop the internal war! Anxiety Relief is authored with sparkling clarity to provide an expert step-by-step anxiety recovery system that any anxiety sufferer can understand and put into immediate use. 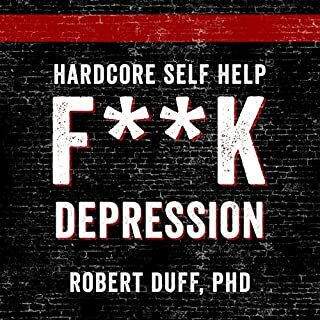 This audiobook goes well beyond the usual “Do this and you’ll feel better” formula, however. It will provide you with an explanation of the many angles you can employ to make things better and provide you with the great missing ingredient that causes many anxiety sufferers to fail in recovery - heart! Anger Management: Understanding. Healing. Freedom. I've never left a review on anything. I suffer from anxiety. Panic attacks, heart palpitations, constant worrying thoughts. This book helped me change it all. I've read several books on self development, but nothing made an impact like this one did. I have so many tools in my toolkit now to help my anxiety. I'm so grateful I found this book. John Crawford is an Angel and a Miracle Worker! Amazing, fabulous, wonderful information, that helped me to better understand what I've been going through, and some extremely insightful and helpful information on how to improve my life a little bit at a time, by working on my issues one at a time, instead of leading me to expect that I would have to be able to tackle all of my anxieties and stress all at once. Thanks John Crawford, for giving me hope for working through my crisis, and hope for improving my future state of mind! I learned more from your book than I've learned from any other self-help books on the same topic over the last six or seven years, or more, and in less time! I only wish that I'd listened to and read this book first, before all of the others which either didn't help at all, or helped so little that I couldn't tell a significant amount of difference. If you have questions, Mr. Crawford is absolutely brilliant, and has had first-hand experience with his own anxiety issues that he worked out, that gives him an extra advantage over all of the currently existing competition. I believe that this book is the best one available on the market at this time! The narration by John Crawford is so soothing and comforting that I thoroughly enjoyed listening to him narrate this book, and I intend to continue to listen to it many more times whenever I feel anxious or upset. This is truly one the few books that I find really helpful, informative and constructive. There is alot information on how and why anxiety happens and tactics to self help and guidance to what to do. It is very realistic and takes the mystery out of anxiety. It is easy to listen to aswell. This is definitely one of my top reads and I wpuld wholeheartedly recommend this book to anyone suffering from anxiety and panic. I have previously owned the paperback copy of the book which I found helped enormously with my anxiety. I got the audiobook to recap whilst on long drives and I was very pleased wth how well narrated it is and how clearly the message comes across when spoken. I'd certainly recommend this to anyone suffering from anxiety, it's a very interesting listen too as a bonus. I’m 54 years old and this is the best book I have ever read. Forget all the other stuff out there. This book is a must read for anyone with anxiety. It really helped me to understand anxiety and gave me the tools to accept it and not fight it. It has a great chapter at the end for bad days and a half hour relaxation section. A lifesaver which I refer back to when I need it. Thankyou John! 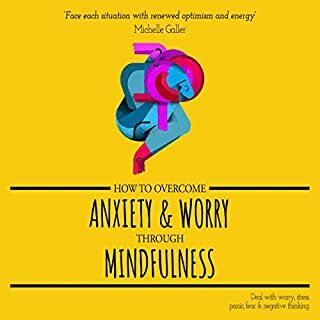 As a sufferer of anxiety I was hoping this would be helpful given the reviews ... I’ve used the audio book because I didn’t want the book lying around as I’m still embarrassed at my condition. I can hide an audio book . The audio version is one which I needed to go back over time and again either through falling asleep or convoluted explanations. Some long chapters to deal with rather than bite sized consumable bits to help in the condition . The audio book version was a bit tedious , the speed and tone of the voice wasn’t great and made it hard going . I think the author / publisher should have employed s much more soothing and fluent orator . I’ve not yet finished the audio book .. a few hours to go , maybe I need to start again and give it more attention but it lost me too early . I had high expectation, I was already a fan of this author John Crawford. In the first pages of his book, Anger Management, he explains, anger is as much a stress related problem as being clinically anxious or depressed. we are culturally far less forthcoming with our understanding when it comes to anger. Resulting in the angry person isolating & feeling worthless. For me, instantly changing my mindset, allowing me to understand myself more & be more helpful to others. So his audiobook Anxiety Relief, is equally amazing! Whether you are interested in self help or your a professional this book will help you excel. John connects our behaviour on a evolutionary level, for example, there’s no need to completely be void of fear, it’s essential for survival. He helps you identify symptoms, acknowledge the effect on your quality of life, then giving you clear instructions on how to implement change. What Anxiety Relief IS NOT, I long story of someone else’s life & there experiences. While I’ve found at times this can be informative, inspirational & somewhat helpful, I prefer John Crawford’s educational solutions, self empowering based recovery. I can't rate this book highly enough, as someone who has lived with anxiety to varying degrees all my life. It seems to cover everything you could possibly need to know. I have had numerous sessions of therapy over the years but for me this book has more clarity in its explanations and guidance. I made a lot of notes whilst listening to the audio book and found this super helpful. The author has first hand experience of anxiety which makes all the difference and I think this comes through in the detail and overall feeling of the book. There are suggested exercises and he will tell you clearly how to apply statements such as 'be kinder to yourself'and many others. There is a free relaxation download which is very helpful and I will be using it regularly. This is a must for anyone who really wants professional help in a self help format!. I have suffered chronic anxiety to some extent for most of my adult life and since finding this book feel that for the first time I have actually been thrown a lifeline. John has explained so much about the workings of our brains it is probably as close to having therapy as you can get without having therapy! His writing gave me many 'lightbulb moments' and the advice given on how to cope when acute anxiety strikes actually works! One read or listen is not enough with this book and I will be keeping it handy and dipping in many times I am sure. 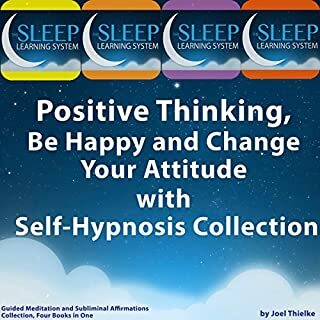 Even if you do not suffer anxiety particularly I would recommend this work as being fascinating and valuable for everyone as an insight into how our minds work and how we can learn to improve our lives by adjusting our ways of thinking.